It's not easy to decide what feature you will like the best with this new scale. The reverse image LCD illuminated screen makes reading the light text on dark background easy, even on bright, sunny days. The directional pad operation offers familiar and intuitive navigation through the menu options. Quick reference for min. & max. bin & total weight. 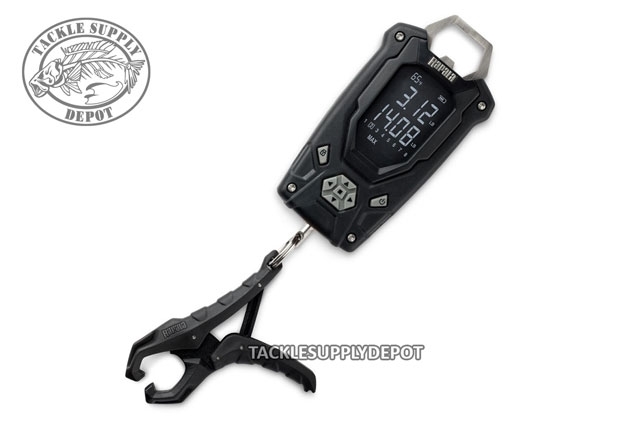 Packed with must have features and a fish friendly gripper to secure your catch. Runs on Two AAA Batteries (not included).